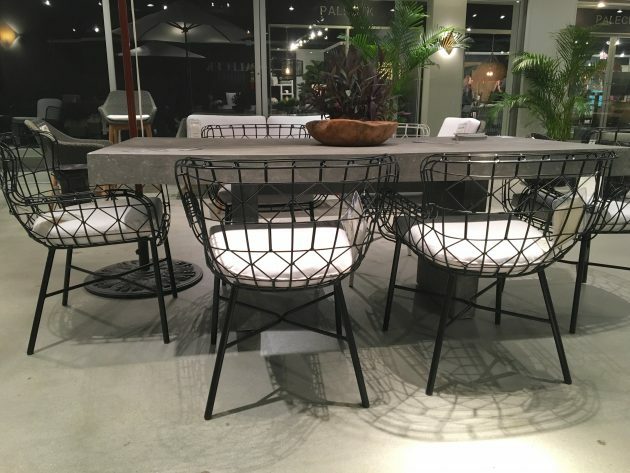 Highlights from High Point furniture market Spring 2017, the home trends to watch for . 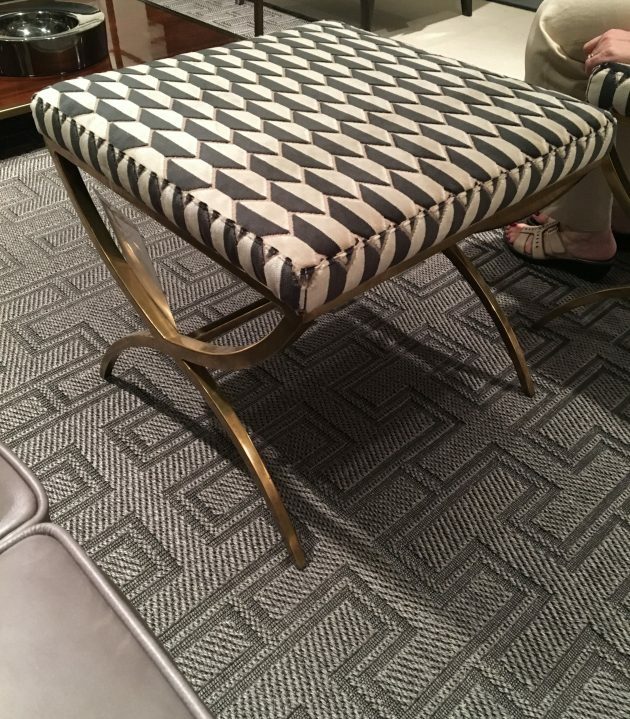 I am not the Designer who instantly wants to use the latest fashion style in home furnishings. Unfortunately they can soon become ubiquitous; think sunburst mirrors! 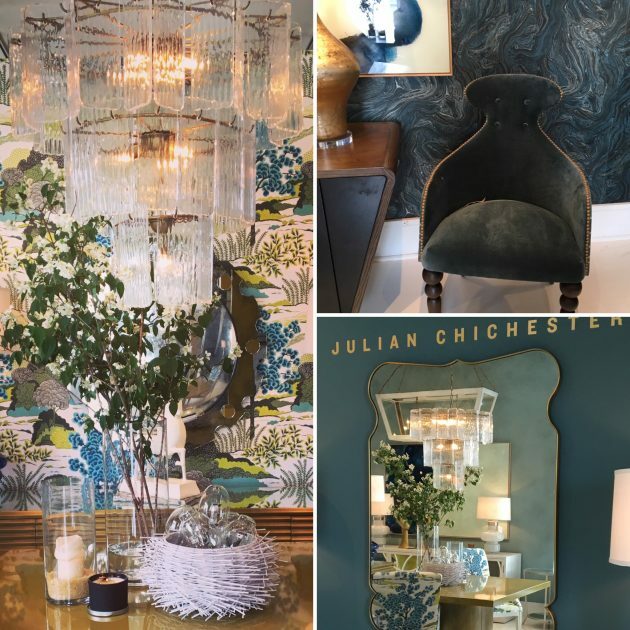 High Point market is not just THE place to discover what new furniture, lighting and accessories will soon be launched. 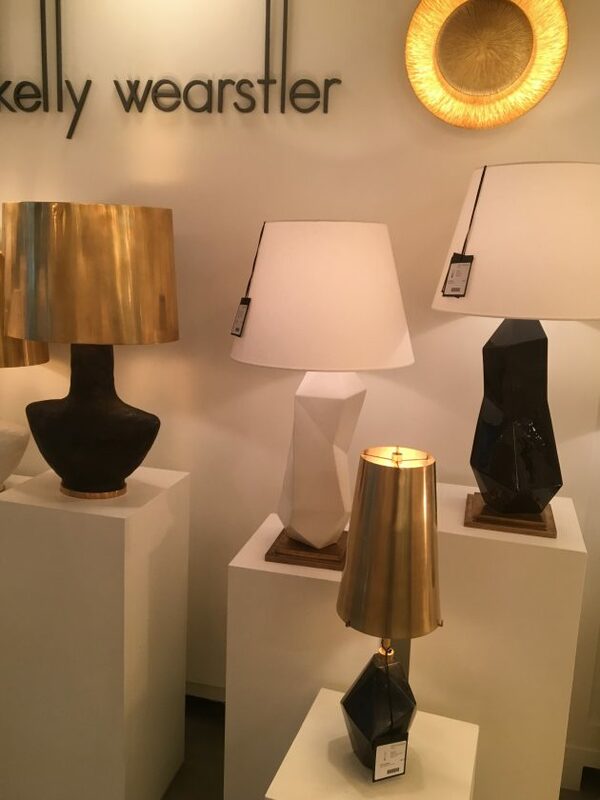 For the Designer, the showrooms are an invaluable resource to see, feel and judge the quality of a vast array of furnishings, lighting and accessories from all the leading manufacturers and many unique smaller artisans. The showrooms fill a whole town and there is also a huge antique market too, which was a joy to explore. 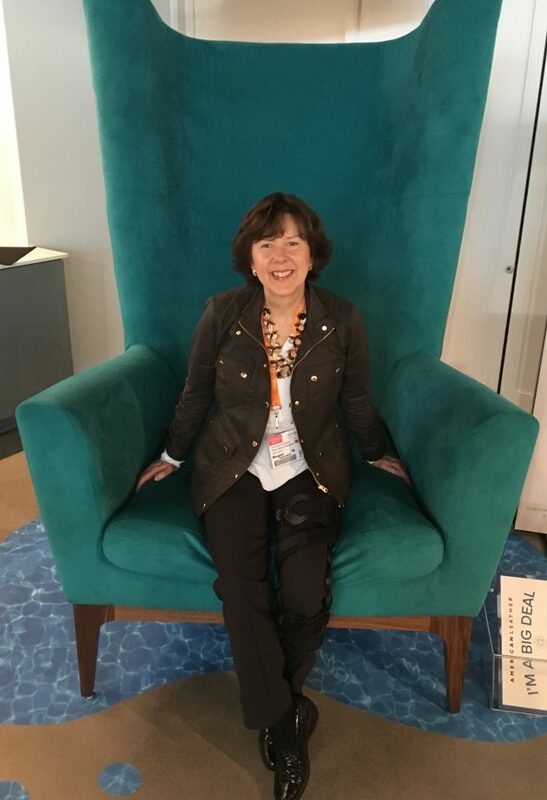 In the 4 days that I was there, I sat on or in 100’s of chairs and sofas, forged new relationships and left with a wealth of information and inspiration which will be used immediately in my design projects. It was exhausting but exhilarating. 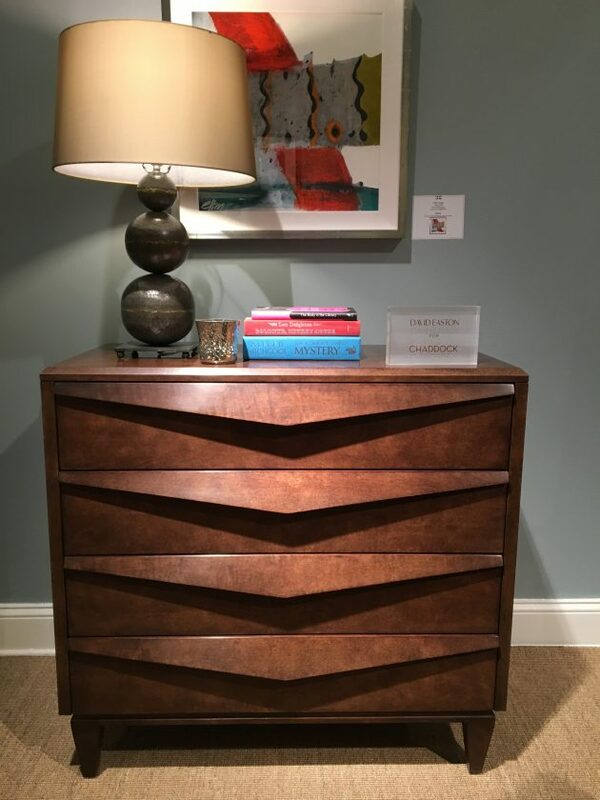 Here are some of my favorites pieces and observations on the latest trends. 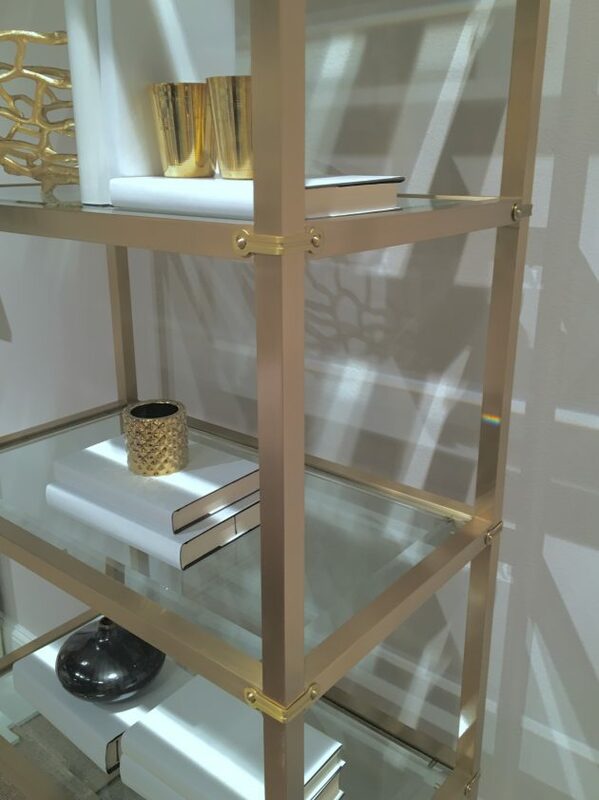 Gold finished bookcase with glass shelves from Guy Chaddock. I love the details. 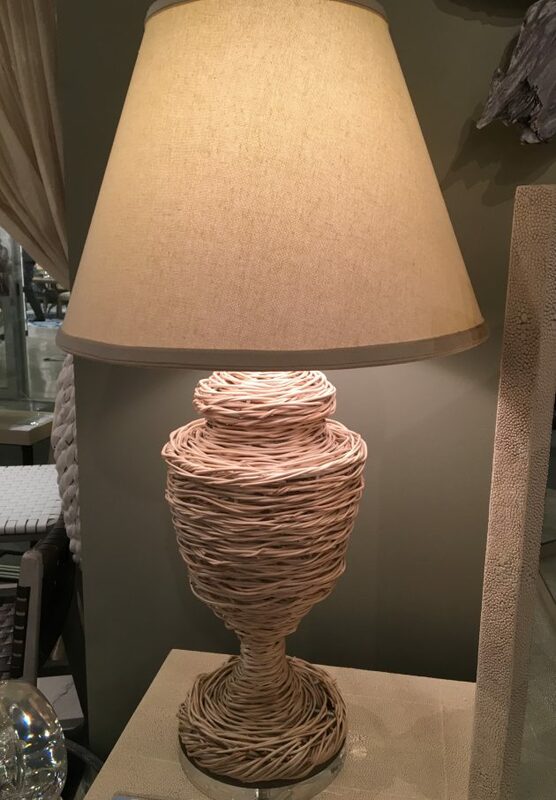 A classic Grecian urn shaped lamp is softened with this organic woven material. Lighting in organic forms is definitely trending. 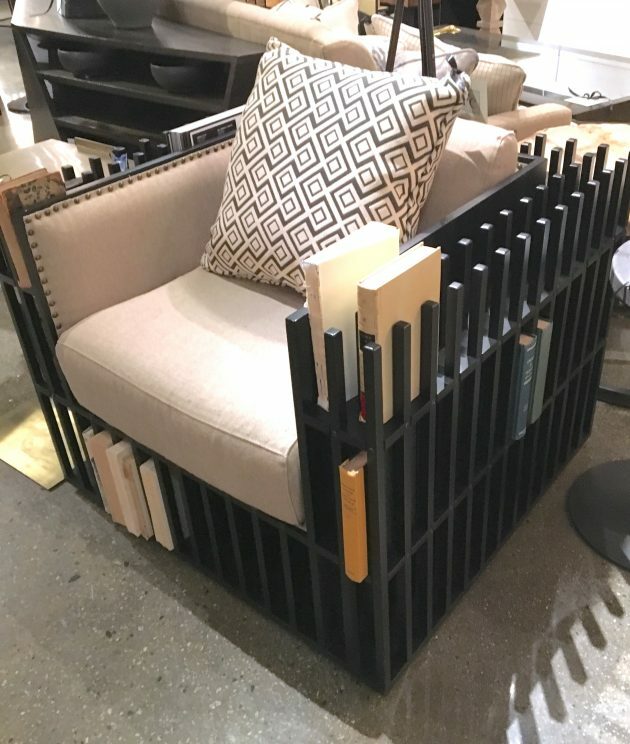 Modern tailored wing back chair with a cane frame in a grid pattern, echoes Frank Lloyd Wright. 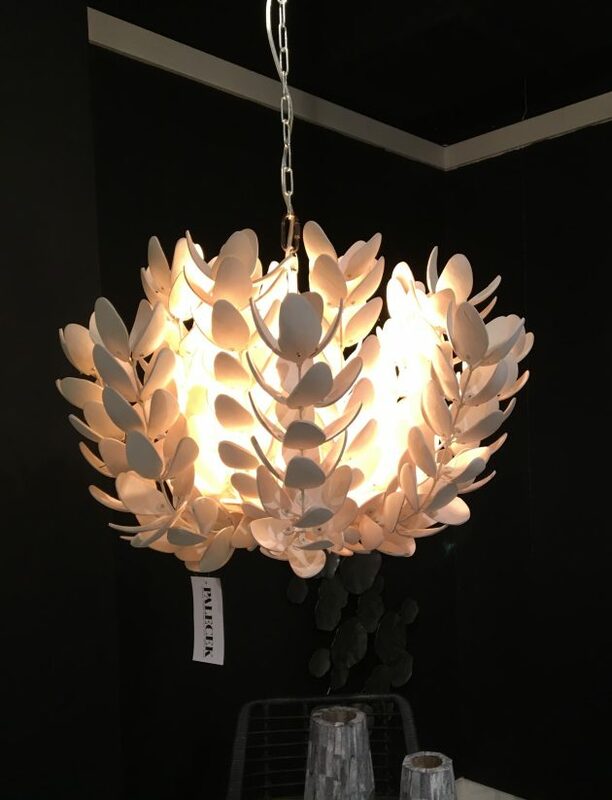 Organic leaf chandelier in white from Palecek. 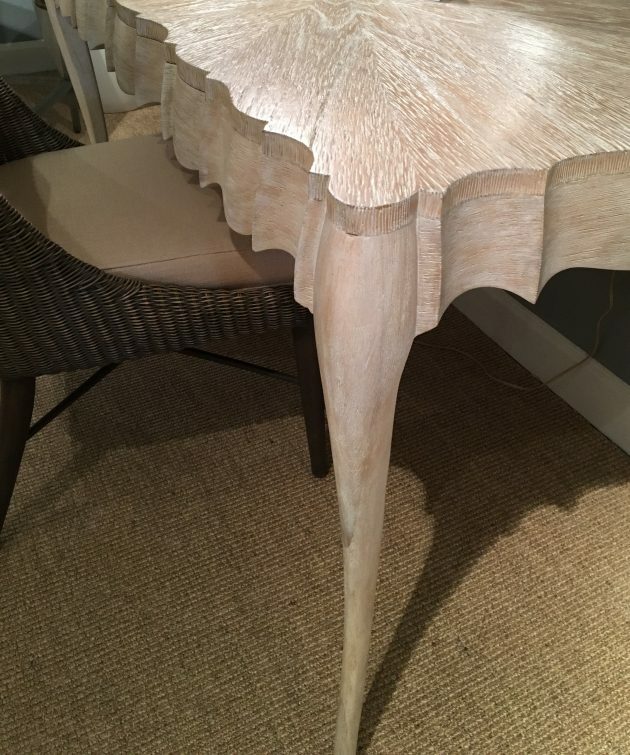 This would be beautiful in a bedroom or sunroom. 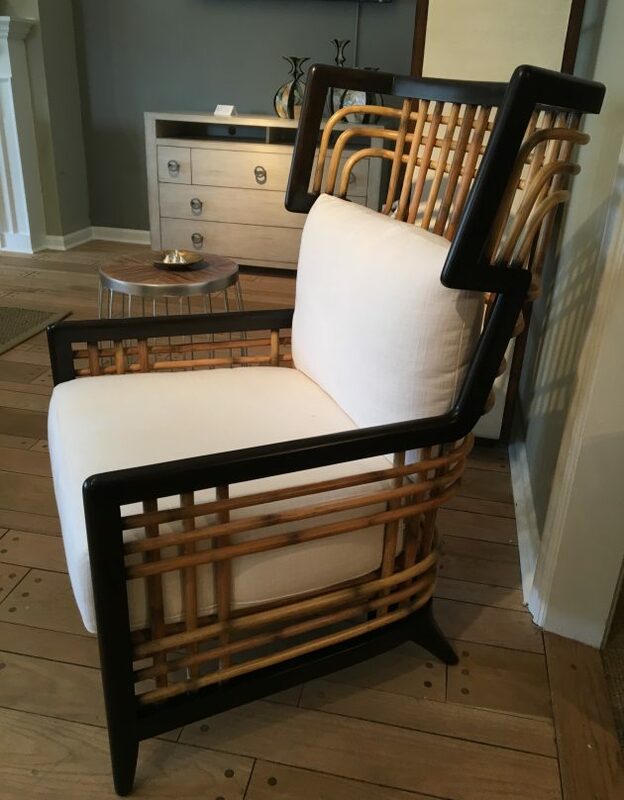 A Danish modern shape with a graphic wire frame design looks stunning. The chairs are actually comfortable! Unique take on the wire frame idea with an integral bookcase. How convenient! 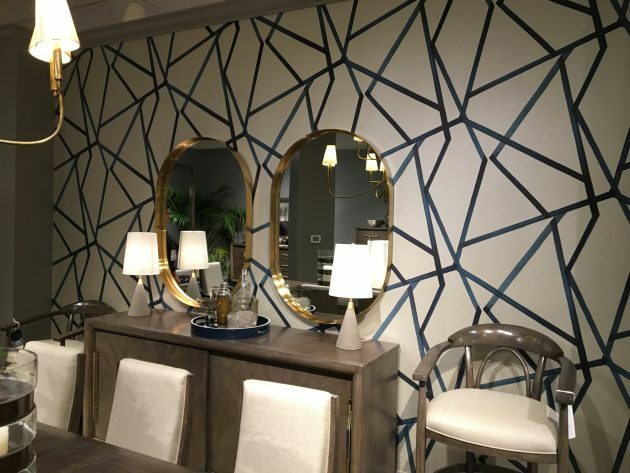 Stunning showroom showing a European love of color and fluid Danish modern lines. I found all the above noted trends displayed here.